We take children from 24 months to 5 years old. There are limited spaces available for children 24-30 months old so book your spot early to avoid disappointment. Will I have to volunteer in the classroom? While we are a co-operative program, we require limited parent duties to be a member. Parent involvement is encouraged and we ask that each family contribute one classroom duty day per month. If you are unable to do this, there is the option to opt-out of this duty by paying an additional $35 per month fee. There are some duties that each family will have to carry out once per school year: laundry, making play-dough, library pickup, and classroom cleaning and participation in fundraising activities. No! Your child may be in diapers, in pull ups, in underpants and just beginning training! We understand that it’s a process and will support families in their potty training efforts. Can my child start any time during the year? Yes! Whenever your child meets the minimum age and/or you feel she is ready, you may enroll. Even a few months of pre-school at the end of the school year can really help get your child ready for full time JK! Yes, we carry out fundraising activities throughout the school year. We try to keep activities to things you would normally spend money on (Scholastic orders, Mabel’s Labels, Elmira Chicken etc) and a few larger events throughout the year (Mom to Mom sales, Family Day Pancake Breakfast and Skate, for example). We encourage people to become involved with fundraising activities in any way they can. We understand that people’s availability varies and we encourage you to find ways that you can help in fundraising activities through planning, organizing, or just serving up some hotcakes. As in the classroom, we recognize people bring different strengths to the table and we value whatever you are able to contribute. Why should I choose ABC Nursery School? Small centre, small class size. We know that the transition to care outside of the home can be trying for child and parent alike. Our small centre helps to ease that transition by ensuring your child isn’t overwhelmed by large, frenetic groups of kids and parents coming and going each day. Our centre has only one classroom with a maximum capacity of 16 children each day. You and your child will quickly come to know all his classmates, other parents and teachers! Flexible start dates and scheduling. 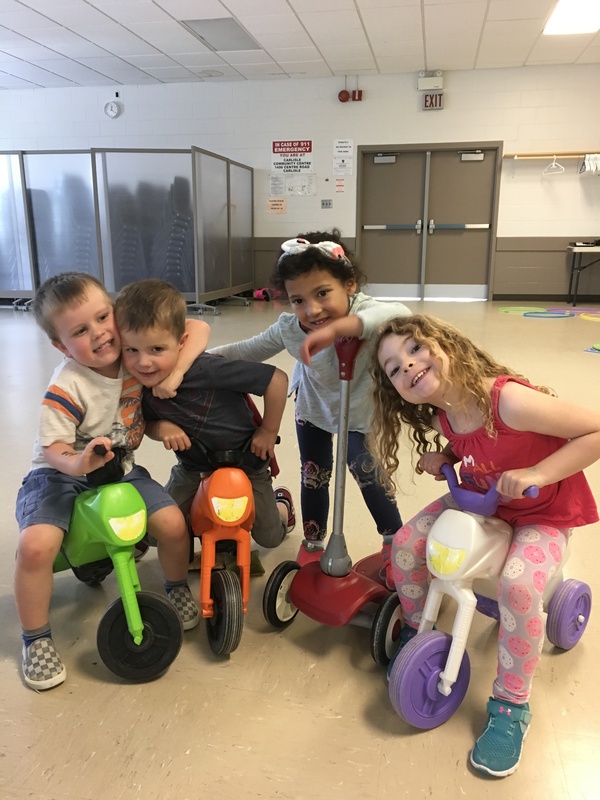 We know that some of our families do use our services for child care rather than strictly as a tool for socialization, so we allow people to choose the days of the week and the program length that works for them. You will not be stuck into a M/W AM or T/TH PM box here! We allow registration throughout the year, space allowing, and we have longer program hours to transition to when you think your child is ready to stay longer. What a great way to ramp up to full day JK! Play Today Flexibility! Space permitting, we allow registered children to come in for extra days. It’s a great feature when you have an appointment or need to get some work or errands done. It’s particularly popular leading up to the Christmas break. Switching days. A unique aspect to the program at ABC is the ability to switch days due to illness or vacation! I have more questions. Can I come in for a visit? We love visitors! We are open weekdays from 9am-2pm and you are welcome to stop in. Call ahead so we know to expect you, and bring your little one to explore our wonderful classroom. We are conveniently located in the Carlisle Community Centre, 2nd Floor.